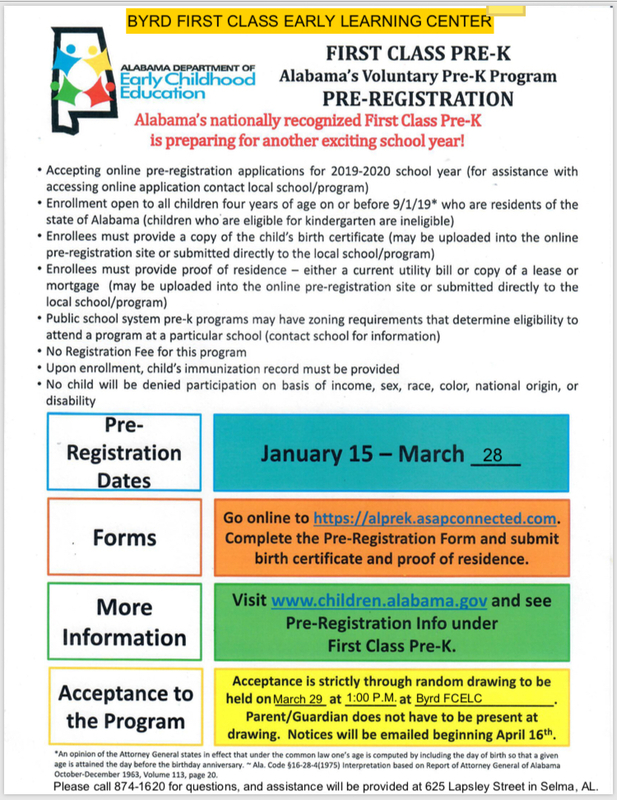 Registration has begun for the 2019-2020 PreK Program. Selma City Schools will continue to offer our premiere Early Learning Program. The registration website is https://prek.asapconnected.com. Please register under Byrd Early Learning Center for the upcoming 2019-2020 to secure placement in the Selma City Schools Early Learning Center. The location for the PreK Program will be Sophia P. Kingston Elementary. Please call 334 874-1620 for any questions.